WASHINGTON - For more than a year, U.S. intelligence officials reassured lawmakers they were working to calculate and reveal roughly how many Americans have their digital communications vacuumed up under a warrantless surveillance law that was intended to target foreigners overseas. This past week, the Trump administration backtracked, catching lawmakers off guard and alarming civil liberties advocates as Congress weighs changes to a law that permits some of the National Security Agency’s most sweeping espionage but would expire at the end of the year. 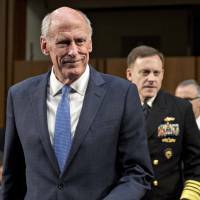 “The NSA has made Herculean, extensive efforts to devise a counting strategy that would be accurate,” Dan Coats, a career Republican politician appointed by President Donald Trump as the top U.S. intelligence official, testified to a Senate panel on Wednesday. 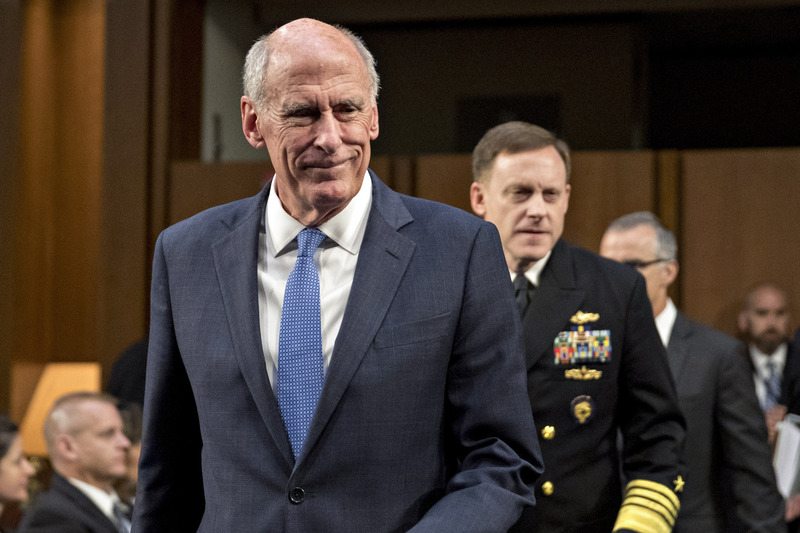 Coats said “it remains infeasible to generate an exact, accurate, meaningful and responsive methodology that can count how often a U.S. person’s communications may be collected” under the law, known as Section 702 of the Foreign Intelligence Surveillance Act. He told the Senate Intelligence Committee that even if he dedicated more resources the NSA would not be able to make an estimate, which privacy experts have said could be in the millions. The statement ran counter to what senior intelligence officials had previously promised both publicly and in private briefings during the previous administration of President Barack Obama, lawmakers and congressional staffers working on drafting reforms to Section 702 said. Rep. John Conyers, the top Democrat in the House of Representatives Judiciary Committee, said that for many months intelligence agencies “expressly promised” members of both parties to deliver the estimated number to them. Senior intelligence officials had also previously said an estimate could be delivered. In March, then-NSA Deputy Director Rick Ledgett, said “yes” when asked by a Reuters reporter if an estimate would be provided this year. “We’re working on that with the Congress and we’ll come to a satisfactory resolution, because we have to,” said Ledgett, who has since retired from public service. The law allows U.S. intelligence agencies to eavesdrop on and collect vast amounts of digital communications from foreign suspects living outside of the United States, but often incidentally scoops up communications of Americans. The decision to scrap the estimate is likely to complicate a debate in Congress over whether to curtail certain aspects of the surveillance law, congressional aides said. Congress must vote to renew Section 702 to avoid its expiration on Dec. 31. Privacy issues often scramble traditional party lines, but there are signs that Section 702’s renewal will be even more politically unpredictable. Some Republicans who usually support surveillance programs have expressed concerns about Section 702, in part because they are worried about leaks of intercepts of conversations between Trump associates and Russian officials amid investigations of possible collusion. U.S. intelligence agencies last year accused Russia of interfering in the 2016 presidential election campaign. Intelligence officials have said Section 702 was not directly connected to surveillance related to those leaks. “As big a fan as I am of collection, incidental collection, I’m not going to reauthorize a program that could be politically manipulated,” Sen. Lindsey Graham, usually a defender of U.S. surveillance activities, told reporters this past week. Graham was among 14 Republican senators, including every Republican member of the intelligence panel, who on Tuesday introduced a bill supported by the White House and top intelligence chiefs that would renew Section 702 without changes and make it permanent. Critics have called the process under which the FBI and other agencies can query the pool of data collected for U.S. information a “back-door search loophole” that evades traditional warrant requirements. “How can we accept the government’s reassurance that our privacy is being protected when the government itself has no idea how many Americans’ communications are being swept up and stored?” said Liza Goitein, a privacy expert at the Brennan Center for Justice.